Desc: 14kt. 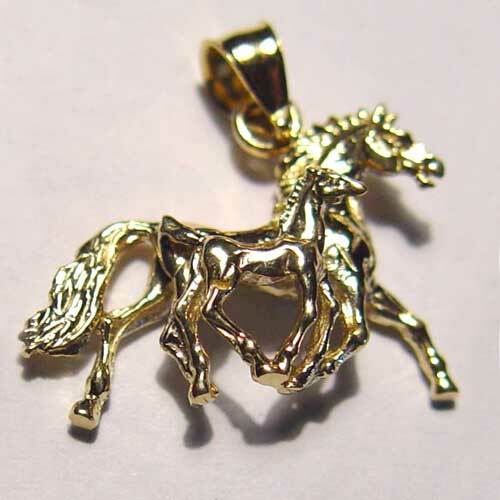 three dimensional mare and foal trotting side by side charm/pendant. This pendant shows great detail and depth of the mare and foal, the bond of a mother and baby.